The picture is from my regular weekly, year-round Saturday market, founded in 1996 in the small town of Covington Louisiana, which is only 40 miles north of New Orleans but separated from it by Lake Pontchartrain and its 24 mile-long bridge. The market is very ably run by sisters Jan and Ann, using very minimum staff hours but with enormous amounts of community buy-in. They have music scheduled every week, often have food trucks and during holidays have author signings or tasting events. The market has loads of seating, a permanent welcome structure with donated coffee and branded merchandise for sale. I tell you all of that to show how they balance the needs of the shoppers (by adding amenities that cannot be offered by the vendors) and the needs of their vendors (they keep the fees low by having less staff hours and carefully curate the products to showcase only high-quality regionally produced items), but also do their very best in their estimation to reduce their own wear and tear as staff. They knew, however, they at least needed the access for shoppers to get more cash and had asked the bank (a market sponsor) to have an ATM, and had also asked the municipality to add one (the market space is on city hall property), but couldn’t get anyone to move on the request. Finally, a 3rd party entrepreneur approached them to put one in and ta-daa, they finally have their ATM. It is moved in on Saturday morning and out again when the market is done, but the market will have a conversation soon with the mayor (a strong market supporter) about getting it there permanently. I was thrilled to see even that machine, as the nearest bank is blocks away and on far too many days I have grumpily got BACK in my truck to get more cash. And in the days since those early rounds of proselytizing for (only) a centralized token/EBT/Debit system at every market, my own work has led me to the conclusion that instead there needs to be a suite of systems for markets to choose the appropriate version to process cards, rather than just the one system for everyone. 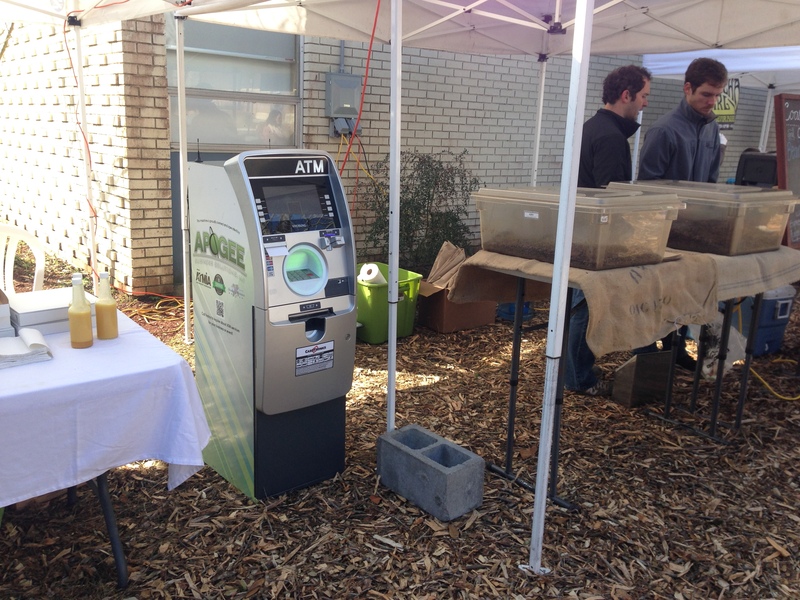 Some markets can serve their shoppers with an ATM (some can own it, some can lease theirs and some can have a 3rd party offer the service like Covington), with some farmers having EBT/debit access on their own; some markets can use a phone-in system for EBT and have a Square on a smart phone at the market or farmer-level; some need the centralized system, but are figuring out electronic token systems; and yes, some do still need to bells and whistles of the centralized token system; and some markets need that system that is still developing, as technology continues to change to add more options for these systems. What will help this multi-tiered system to happen is for markets to keep on sharing their ideas with each other and to gather data on why their system works for their community. That may be as simple as doing a regular Dot Survey/Bean Poll to ask shoppers about the interest in card use, or doing an annual economic survey like SEED, or asking their vendors on their annual renewal/application form about their use or projected use of card technology (you’d be surprised how many vendors already have Square or another version of it). And markets and vendors that do have the technology need to track the time and effort it takes to process cards and to build the entire system, which includes some outreach and marketing, and a significant amount of bookkeeping and share that information. I keep gathering examples of innovation among markets and hope that sooner or later I (or other more able researchers) can be tasked with conducting in-depth research about those ideas to offer the market field a more comprehensive and dynamic view of all of the great ideas managed by our market systems. In the meantime, if you come to Covington your pajeon (warm Korean pancake) is on me; after all, I’ve got the cash.